The classes will demonstrate fundamental ways for using the expressive arts within the context of Jungian studies, especially for analysis and therapy. Participants will have an opportunity to experience a scribble drawing, a clay scribble, dream drawing, self expression through gesture and the use of stories to enter into dialogue with the unconscious and become familiar with what Jung called the symbolic attitude of the psyche. Students of Jung often report that the art making process enables them to go deeper into the journey of self-discovery than just words alone. Even dream work can be enriched with simple drawings or sculptures. Simple, playful drawings can reveal aspects of one’s self that might otherwise remain hidden. Recovering lost parts of self can be experienced as transformational. Whether you are engaged in your own analysis or are an interested student of Jung eager to deepen your relationship with psyche, taking part in an experiential class promises to be a rewarding experience of Jung. 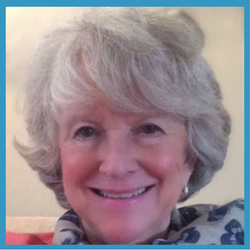 Sandy Geller, is a Jungian Analyst, a Board Certified Art Therapist and a Licensed Professional Counselor. She has extensive experience in Dance Movement Therapy and has worked collaboratively with Music, Poetry, and Drama therapists. She works with individuals of all ages either one on one or in groups to help them unblock their creative potential and discover their life’s purpose. She has especially focused on work with older adults, inspiring play writes, painters and poets to push through their blocks and bring their works to fruition. As Jung himself reported, every time he came up against a brick wall or found himself stuck he reached for his art materials or carved stone to find his way back to a connection with the unconscious and renew his dialogue with psyche. In addition, her one on one work with clients focuses on issues from attachment and early developmental issues across the life span to individuation. She is in private practice in NW Washington, DC. She teaches for the Washington Jung Society, the Philadelphia Association of Jungian Analysts and is a guest presenter for the GWU Graduate Art Therapy Program. For Beginning Students of Jung as well as Advanced. Register early. Class size is limited.